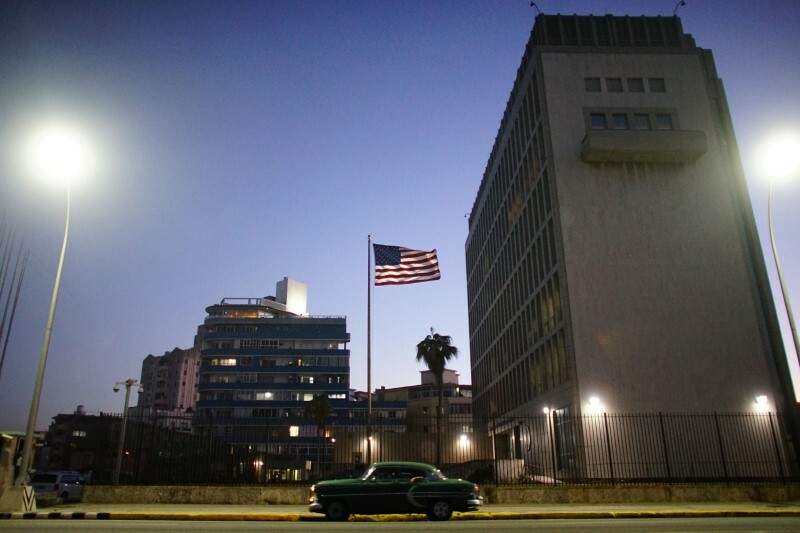 HAVANA (Reuters) – Cuba said on Sunday it remained baffled by health issues affecting U.S. diplomats, after the U.S. State Department reported two Cuba-based functionaries had symptoms similar to previous cases that began in late 2016. The State Department said on Friday the cases were similar to those of 24 diplomats and family members taken ill through 2017, leading to a drawdown of personnel in Havana to a skeleton staff and the expulsion of 17 Cuban diplomats from Washington. The United States also issued a travel warning for its citizens. The statement said an exhaustive search of the area around the residence had turned up nothing out of the ordinary and its specialists had been denied access to the functionary. U.S. experts have yet to determine who or what is behind the mysterious illnesses. The administration of U.S. President Donald Trump, which has partly rolled back a detente with Cuba, first charged diplomats were the victims of “sonic attacks” and Cuba as the host country was at a minimum responsible for their safety. Symptoms suffered by the diplomats have included hearing loss, tinnitus, vertigo, headaches and fatigue, a pattern consistent with “mild traumatic brain injury,” State Department officials have said. The U.S. State Department said on Wednesday it has brought a group of diplomats home from Guangzhou, China, over concern they were suffering from a mysterious malady that resembles a brain injury and has already affected U.S. personnel in Cuba.